The Fracking Boom: Missing Answers A natural gas boom is under way in the United States, with more than 200,000 wells drilled in just under a decade. But people living on the front door step of the natural gas bonanza have a question: Are these wells creating harmful pollutants? NPR explores why there isn't an answer yet. 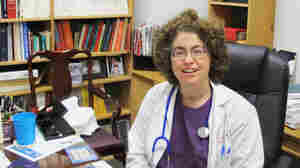 May 15, 2012  Mysterious fumes wafting in from outside have repeatedly sickened several nurses at a rural Pennsylvania health clinic, forcing the clinic to temporarily relocate. Like many other people living near gas wells around the country, the clinic's staff wonder whether the industry in their backyard is making them sick. May 15, 2012  Hundreds of thousands of natural gas wells have sprung up across the country. In Garfield County, Colo., the drilling rigs are so close to homes that some people call them "Close Encounters." When the gas boom began a decade ago, residents began asking: Is it safe to live this close? Their quest for answers became too polarizing to pursue. 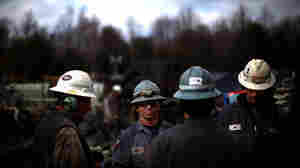 May 17, 2012  A new law grants doctors access to information about trade-secret chemicals used in natural gas drilling. Doctors say they need the information to treat patients who may have been exposed to chemicals. But the law also says doctors can't tell anyone else — not even other doctors — about what's in the formulas. May 16, 2012  Is fracking making people sick? The question has ignited a national debate. A proposed study in northern Pennsylvania could help resolve the issue. By mining more than 10 years' worth of patient records, researchers hope to better understand the potential impact of hydraulic fracturing on health. May 14, 2012  Industry has ruined a lot of Pennsylvania's water. Coal mining companies hammered the state, leaving behind acidic water that turned thousands of miles of streams into dead zones. People in the state are looking for ways to make sure the fracking boom doesn't deal another blow to its water. 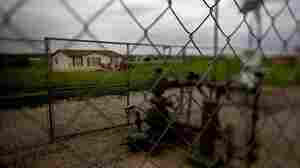 May 16, 2012  Many residents of Dish, Texas, blame the fracking operations that surround their tiny town for a host of health problems — from nosebleeds to cancer. The former mayor was so scared, he left town. But scientists who've studied Dish say there's not enough evidence to link natural gas operations to any illness. May 14, 2012  Explore key components of the natural gas production process and the questions asked by scientists. 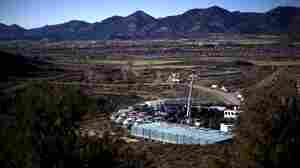 May 17, 2012  Four years ago, an atmospheric scientist near Boulder, Colo., stumbled on surprising air pollution data: The region's levels of methane, a powerful greenhouse gas, were far higher than anyone would have expected. What was going on? The search for an answer led straight to the natural gas and oil fields of northern Colorado. August 2, 2011  Pennsylvania is at the center of a natural gas boom. 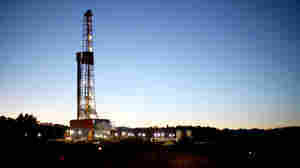 But getting to the fuel requires a process called hydraulic fracturing that pumps water and chemicals far underground. One scientist is trying to find whether that's causing the high methane levels found in water near some gas wells.